Missionary Marriage Issues: I’m Just a Trailing Spouse. The year did not turn out like Tom expected. He had thought that taking time off and living in a developing country while his wife taught in an international school would be a welcome relief from the stress of working as a senior pastor. However, he soon got bored with mowing the school lawn, sweeping floors, painting walls, doing laundry, and trying to find fresh meat at the market. He felt little satisfaction with what he was doing after just a couple of weeks and was looking forward to getting home and back to work using his talents. However, Mary felt fulfilled and loved what she was doing, and now she wanted to stay at least another year, maybe permanently. At first these differences led to tension in their home, and they avoided discussing them. However, as tension increased and they talked more about the differences, their discussions began to become disagreements that were never really settled. Tom was what many people call a “trailing spouse,” a husband or wife following a marriage partner who takes a job in another place. Being a trailing spouse may mean leaving behind a deeply satisfying place of work and service to begin again, somewhere else in the world. The challenge of finding such a place in foreign locations without support networks and knowledge of the local situation may be difficult, frustrating, and time consuming. Consider how this has happened in history, what makes it an issue, and what can be done about it. Did this happen in Bible times? This has happened since the Book of Genesis. God told Abram (later Abraham) to leave his country and his extended family. If he did this, Abram’s descendents would be a great nation. Abram took his wife Sarai (later Sarah) and his nephew Lot and followed God’s direction to Canaan, to Egypt, and back to Canaan (Genesis 12-13). The agreement was between God and Abram, and when it was renewed, it was again between the two of them (Genesis 15). Both Abram and Sarai came up with “schemes” for the other to do, schemes indicating that they did see her as a part the agreement. Abram was afraid that the Egyptians would harm him, so he asked her to tell them she was his sister rather than his wife. She did it, and Abram raised no objection even when Pharaoh took Sarai to live in his palace (Genesis 12). Sarai apparently saw her role as a trailing spouse whose major part in this was to bear Abraham’s child. Still without children a decade later Sarai had reached the point where she did not even think she had to be the one to bear the child—She offered Abram her Egyptian maid as the one to bear the child (Genesis 16). After all, the agreement was with Abraham, not with her; perhaps her part was to be rearing the child. Finally, more than another decade later, when He again confirmed his agreement with Abraham, God changed Sarai’s name to Sarah and included her in the agreement, saying that “she will become the mother of nations; kings of people will come from her” (Genesis 17:16). This issue affected the marriage relationship even after God said Sarah had an important role in his plan. Here is how it unfolded chronologically after God made the agreement with Abram in Genesis 12. 10 years after the agreement: Sarai told Abram that it was his fault that she was suffering (Genesis 16:5). 25 years after the agreement: Sarah told Abraham to get rid of the maid when Ishmael teased Isaac (Genesis 21:9-10). This issue was a quarter of a century old. Both times they tried to resolve the issue by sending the maid out into the desert. Has this happened in modern missions? It has been a part of modern missions from the beginning. Dorothy Carey, wife of the “father of modern missions,” was a trailing spouse. When she married William, he was a young shoemaker who inherited the business a couple years after their wedding. The two of them served Christ in their village, and William even began preaching in local churches. However, over the next decade William became increasingly concerned about the lost in other cultures. He volunteered to go to India as a missionary, intending to take Dorothy and their children. Though Dorothy did not want to go, under great pressure she reluctantly agreed. Dorothy never joined William in ministering to others. The first few years she cared for their children, but within a couple of years she was totally incapacitated by her mental illness and incapable of even caring for them. In contrast, William’s second wife, Charlotte, was not a trailing spouse. 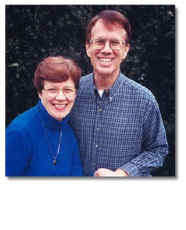 She had come to India on her own, learned Bengali so she could minister to nationals, and joined William in ministry. Her particular interest was the education of Hindu girls. Of course, most trailing spouses do not become mentally ill, but many of them are very unhappy and may become at least a contributing cause of the family leaving the field. The basic problem is that, like Tom, spouses who have been involved in fulfilling occupations of service to others suddenly find themselves doing “trivial” tasks that anyone could do. Lack of meaningful work, culture shock, and loneliness may leave the spouse miserable. Marital problems and even premature departure may finally result. The list could go on and on, but with about 80% of the spouses having a college degree and about 65% having left careers at home, it is not surprising that about 40% of overseas assignments are cut short because of failure of spousal or family adjustment. The overwhelming majority of the trailing spouses are women, but men have the same symptoms, perhaps even more pronounced since they so often find their identity in their work. Involve spouses in the selection process. Remember you are moving a family, not just a person. Continue communication about the move with spouses throughout. Remember that the spouse may be really the backbone of the moving process, and if they do not receive the messages, they may get unhappy surprises. Send both husband and wife on a familiarization trip so that they can make decisions together about housing, schools, and so forth. Allow for some flexibility in policies when something concerns the spouse. The spouse’s attitude may be far more important than a policy. Ask spouses if there are things they would like, such as subscriptions to magazines or DSL Internet access at home, and provide reasonable ones. If spouses are interested in either full- or part-time employment, find a place in your agency if possible, or use resources there to help find work locally. Do whatever you can to encourage spouses to take “ownership” of the move too. What can trailing spouses do? Realize that contentment is a choice, a choice they can make. If they choose to be content, it will color their whole experience. Paul, an early missionary, said that he had learned to be content in any and every situation, whatever his circumstances (Philippians 4:11-13). Learn about their new home through books, the Internet, or people who have lived there. Of course, people who had a bad experience need to be taken with a grain of salt because they may view things through rust colored glasses. Take this experience as an opportunity to evaluate themselves and their lives. This may be the time to rethink and regroup. With email, skype, and the Internet they may be able to continue their work in another country—or develop a new line of work that they can do back “home” or anywhere else for that matter. The spouses need to talk with each other often and throughout their move and settling time realizing that being expats means repeated compromise. Take this as a time to develop a new “hobby” that is both enjoyable and meaningful. Continue their education in the context of a new culture to get a different viewpoint. Find a new ministry with children in the neighborhood. Taking these steps may result in a trailing spouse becoming a prevailing spouse, one that gets a whole new lease on life.